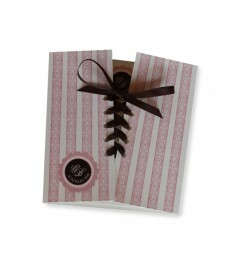 Corset themed invitations, Looking for a laced invitation? 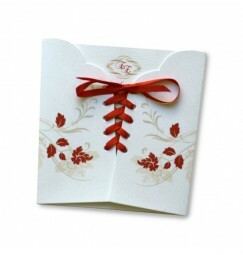 This reminds your guest of a corset ou even your wedding dress. 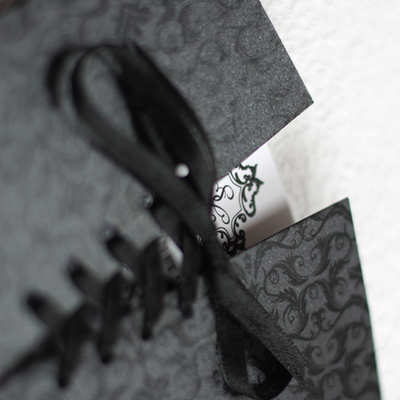 Looking for a laced invitation? 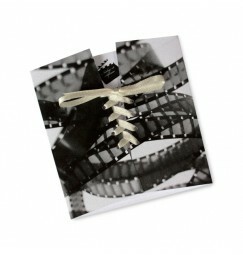 This can remind your guest of a corset ou even your wedding dress. 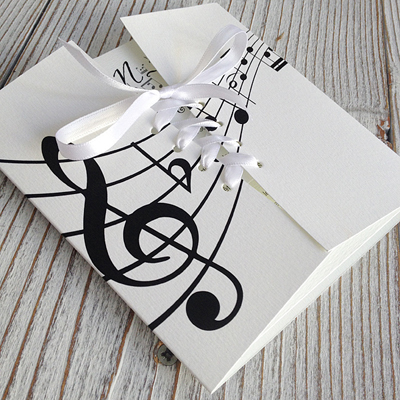 Invited to propose various invitations on this theme; All these invitations can be personnalised with different colour ribbon or exterior paper. 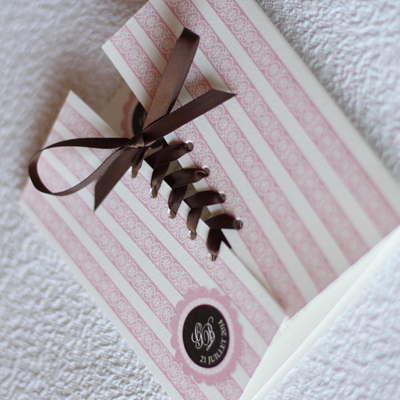 This invitation does not have to be undone by your guests. 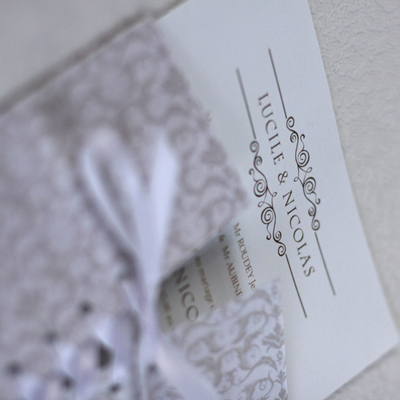 The inside invitation can lifted so the text is revealed. 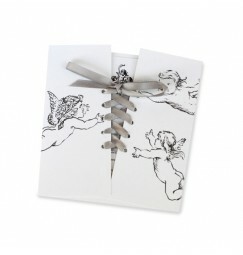 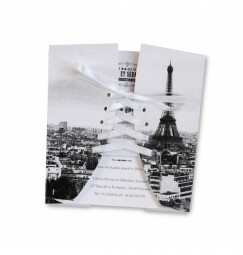 More than one card can be inseted in the corset : the invitation itself, the dinner invitation, the RSVP card or even the map for the reception. 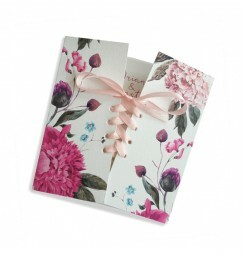 We have also designed the complete collection of each corset invitation, from invitation through to table plan and thank you cards. 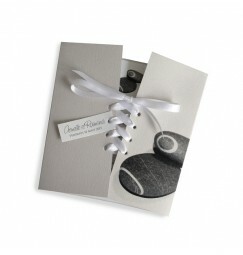 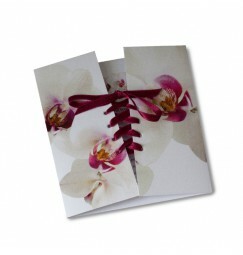 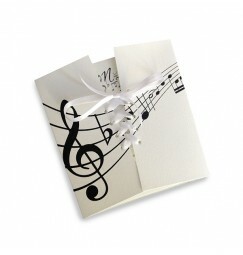 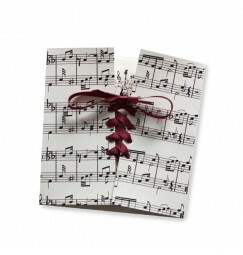 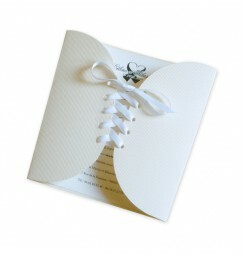 As with all our stationery, the ribbon colour or printed image can be altered to your needs. 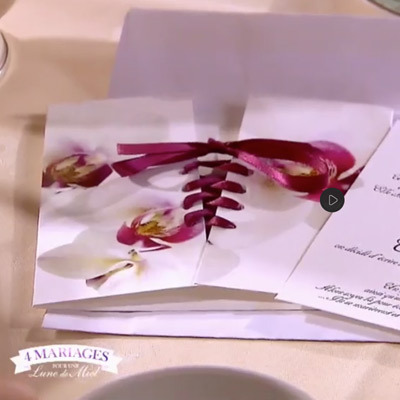 An unexpected surprise the other day, turn on the TV to see our corset orchid wedding invitation on 4 mariage pour 1 lune de miel. 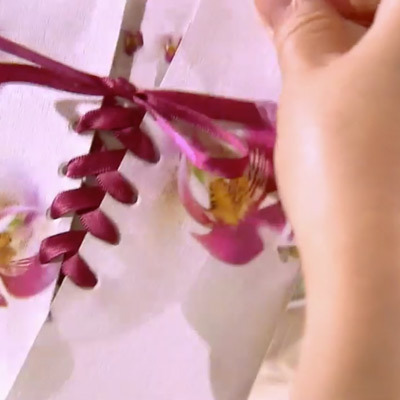 Although we are not big fans of the show, it was still nice to see our work on afternoon TV.